Past, Imaginary, and Future: Forgot to mention...giveaway! Writing, historical articles from 90 years ago, and a lot of random stuff. 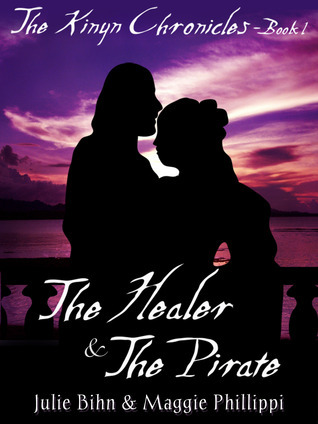 The Healer and the Pirate is available now on Kindle and Nook, and in print at Lulu and Amazon! If you would like to win a paper copy of "The Healer and the Pirate" we are doing a giveaway on Goodreads. And of course if you want it quicker than in a month, you can still buy it for Kindle, Nook, Smashwords, and in print! Giveaway ends February 05, 2012. How much do writers make? Copyright Julie Bihn, 2010-2011. Design by Maggie Phillippi 2010-2011. Awesome Inc. theme. Theme images by merrymoonmary. Powered by Blogger.